Private Jet Hire at London Oxford, the airport is located north west of the capital, just outside of London and south of Birmingham. This location is ideal for those trips to the north of London, the Midlands as well as events such as the British Grand Prix at Silverstone, London Oxford airport offers great facilities for your landing and departure and flying with us means that you have private ground handling from members of their private staff, you will receive the full VIP treatment and it’s our promise that you won’t have to wait in queues for baggage or check ins as we will have it all covered for you to be taken through the airport with haste to help you onto your next destination from there on out. If you ever need help one of our aviation expert advisors will be on hand at all times to take your call should the need ever arise. The airport is just over an hour away from the centre of Birmingham and an hour and a half away from the heart of London, being between the two also offers you a wide range of places to visit in-between locations. Wembley stadium is just 1 hour away meaning that there can be a fast transfer near the likes of Stansted for this location, Silverstone is also just 40 minutes away making this an ideal location for those trips during race season whether its Superbikes or the Formula 1. 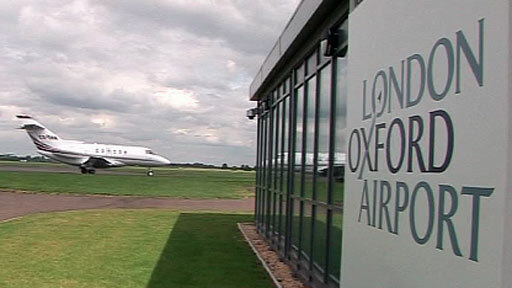 Oxford Airport, also known as London Oxford Airport or Kidlington Airport, is a privately owned airport located near Kidlington in Cherwell, Oxfordshire, 62 mi from Central London .